Michael Mayer’s acclaimed production, first seen in the 2012–13 season, sets the action of Verdi’s masterpiece in 1960 Las Vegas—a neon-lit world ruled by money and ruthless, powerful men. Piotr Beczała is the Duke, a popular entertainer and casino owner who will stop at nothing to get what he wants. 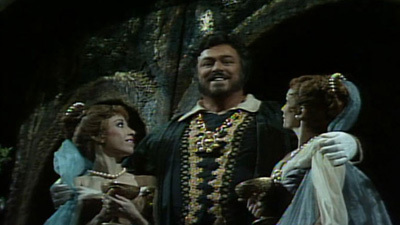 Željko Lučić sings Rigoletto, his sidekick and comedian, and Diana Damrau is Rigoletto’s innocent daughter, Gilda. When she is seduced by the Duke, Rigoletto sets out on a tragic course of murderous revenge. 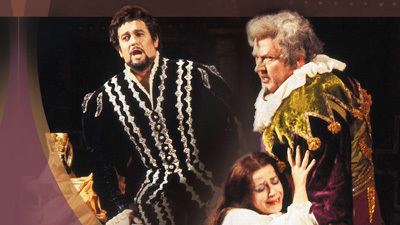 Štefan Kocán is the assassin Sparafucile and Michele Mariotti conducts.